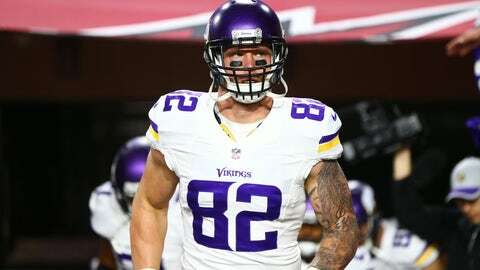 The Minnesota Vikings’ tight end was recognized by a top football website for his impressive performance during the 2016 NFL season. 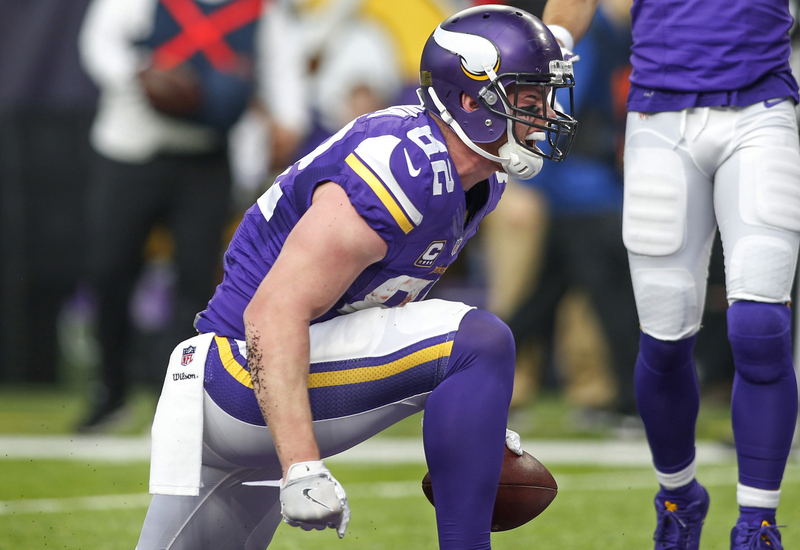 Despite finishing third among NFL tight ends in receptions during the 2016 season, Minnesota Vikings tight end Kyle Rudolph did not earn himself an invite to the Pro Bowl this year in Orlando, Florida. However, Rudolph’s career season did not go unnoticed. 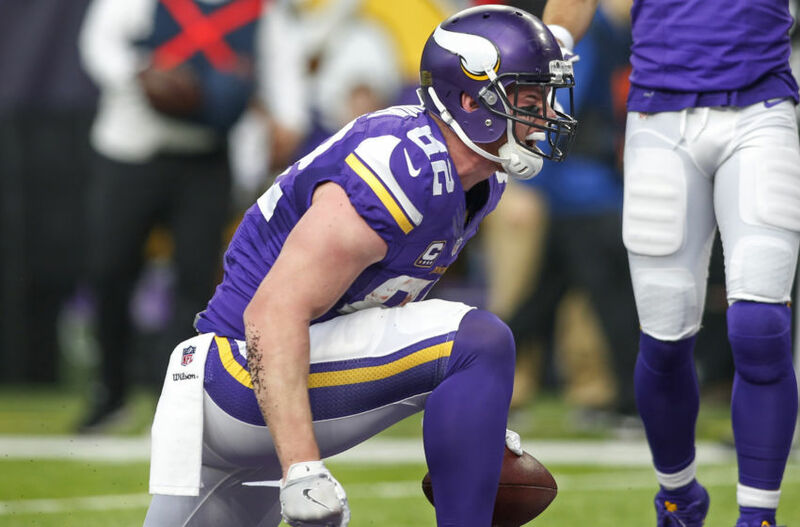 WalterFootball.com recently handed out their annual awards and the Vikings tight end was the only member of the team to be honored for his efforts last season as the site named Rudolph their 2016 Blue Collar Player of the Year. Their reasoning for selecting the Minnesota tight end as this year’s recipient was pretty simple. The site also wrote that the Vikings’ offense, “was a train wreck” in 2016, but Rudolph still found a way to remain a, “constant force,” all season long. A few previous winners of the award includes wide receiver Anquan Boldin (2014), quarterback Drew Brees (2010), fullback Lorenzo Neal (2006), linebacker Tedy Bruschi (2005), and quarterback Brett Favre (2003). Although he did not get the opportunity to join his teammates at the Pro Bowl this year, at least his hard work in 2016 was recognized by a group that actually knows a thing or two about the sport of football. 2012 remains the only year in which Rudolph has appeared in a Pro Bowl during his career and all he did was win that game’s MVP award with his performance.